RNC’s Shorts In A Bunch Over. . . AP US History? If you don’t have a QR reader, just visit donorschoose.org and toss a few coins to a worthy teacher. Tired of Twerk? Enjoy “The Fox”! Bizarre and totally hilarious. Who knew Norwegians were so funny? Wanted: Reluctant Celebrity to Wave Sign for BATs! Nothing worse for a famous person than the pesky paparazzi (unless your name is Kardashian). 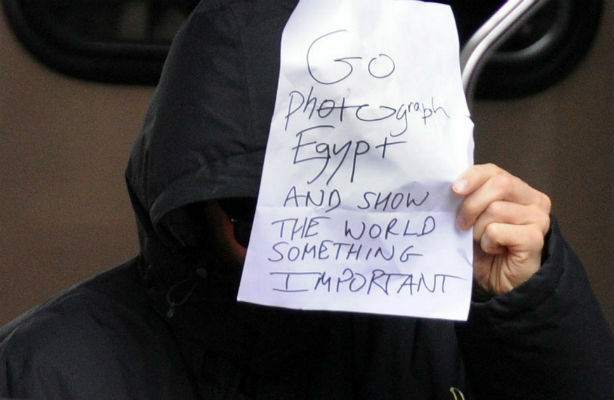 Exhibit A: Benedict “Sherlock Holmes” Cumberbatch, who takes the opportunity to point out what’s really important. Now if we could get a celebrity to do the same for public school teachers. Jon Stewart? Matt Damon? Your Video Distraction of the Day: Mumford & Sons? Ed Helms, Jason Sudekis, Jason Bateman, and Will Forte as Mumford & Sons. Enjoy. 12-year old Ohio State fan names his cancerous tumor “Michigan,” beats cancer (awesome story). You’ve Seen One Aaron Sorkin Movie/TV Show . . .
. . . you’ve probably seen them all. Talk about recycling. That is not a typo. Pitbull, who, in addition to being a multi-platinum recording artist, is now a CHARTER SCHOOL OPERATOR! Because our kids deserve nothing less than an education sponsored by the man who gave us “Hotel Room Service”. It gets better. Pitbull is one of the keynote speakers at this year’s National Charter School Conference, right up there with Secretary of Education Arne “I’ve Never Taught a Day in My Life” Duncan! Badass teachers I can handle. Dumbass, on the other hand. . .